In the event of a delay you will be notified straight away. We are here to help! Manual Information. any ATI Radeon or GeForce 2 with 32MB or higher, or other video card with 32MB and hardware T&L. Neverwinter Nights Deluxe Edition for the PC by Forgotten Realms. The originalNeverwinter Nights (3 CDs). 5 new character classes, 16 new monsters, 30 new feats and 50 new spells. -Dungeons and Dragons role playing experience with a 60 hour offical adventure and the Auroa toolset to create your own adventures. Used Condition. No Manuals. Get Supersized Images & Free Image Hosting. ALL COMPLETE WITH MANUAL, DISCS & SERIAL KEYS. ALL IN VERY GOOD CONDITION OVERALL. Shadows Of Undrentide -. 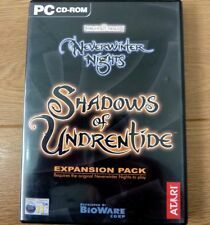 Neverwinter Nights Deluxe Edition Pc Cd-Rom. Neverwinter Nights -. The award winning Neverwinter Nights includes the original 60 hour official adventure and the amazing Aurora toolset to create your own adventures. 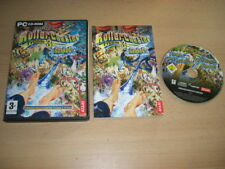 Rollercoaster Tycoon 3 Deluxe Edition Pc Cd Rom. Rollercoaster Tycoon 3 - SOAKED. The Original Rollercoaster Tycoon 3. Rollercoaster Tycoon 3 - WILD. Just about as much fun as you can handle with these tycoon classic! Engage in an all new 20 hour adventure filled with new character classes - including five Prestige classes - monsters, weapons, feats, skills and spells! Neverwinter Nights Gold Edition Inc. Individual cases in good to very good condition. Outer cardboard box in good condition. Complete with manual & map as shown in photos. Neverwinter Nights. Hordes of the Underdark. By Atari 2003. Runs on Windows. 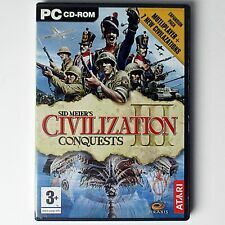 PC Civilization III in like new condition, no marks on discs, signs that never been played, perfect for a collector. The tiny village West Harbor, located not far from the thriving city of Neverwinter in the Sword Coast region, served once as a battlefield between an evil being known as the King of Shadows and the defenders of Neverwinter. Atari ST expansion disk still sealed. Discs are like new, never been played once. Mint condition. I will try to the best of my ability to resolve any problems you may have. Need Rollercoaster Tycoon 2 to play ! As much rollercoaster action as you can handle! Wacky Worlds features -. Experience a Jurassic safari, confront a mythical skeleton army and relive the golden age of Rock n' Roll. This 4 disc PC CD-ROM is bundled with a copy of The Animatrix on DVD. The Animatrix disc is in a very good condition, but may be missing an outer sleeve. Here for sale is a copy of Enter the Matrix. TITLE: NEVERWITNER NIGHTS - HORDES OF. COUNTRY OF ORIGIN: MADE IN UK. No scratches checked and complete. 5 new character classes, new skills, new weapons and over 16 new monsters, 30 new feats and 50 new spells. The first expansion for the polular RPG. Fully Complete. Manual on cd as standard. Continue the epic role-playing revolution! Neverwinter Nights: Kingmaker. Neverwinter Nights: Shadowguard. Rollercoaster Tycoon 2 is the sequel to Rollercoaster Tycoon. There are over twenty different buildable rollercoaster types, from simple wooden coasters to complex inverted coasters. ROLLERCOASTER TYCOON 2. RollerCoaster Tycoon 3: Soaked! ROLLERCOASTER TYCOON 3 : SOAKED! It will work on any computer in the world with the right set-up. The cd-rom, manual, case and case cover are all in very good condition. 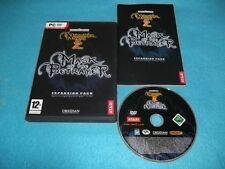 ROLLERCOASTER TYCOON 3 SOAKED Pc Cd Rom with manual free post. Condition is Very Good. Dispatched with Royal Mail 1st Class Large Letter. I will try to the best of my ability to resolve any problems you may have. 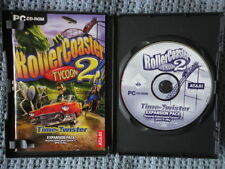 ROLLERCOASTER TYCOON 3 SOAKED Pc Cd Rom with manual. Condition is Good. Dispatched with Royal Mail 1st Class Large Letter. Civilization III: Conquests. (c) 2003 Atari. A few light marks to disc that don't affect play. Good clean condition manual, case and case (see photos). Complete with manual. RollerCoaster Tycoon 3: Soaked! ROLLERCOASTER TYCOON 3 : SOAKED! It will work on any computer in the world with the right set-up. Mint - The item looks like new (I'm reluctant to describe anything as mint). Who Wants To Be A Millionaire - 2nd Edition. VERY GOOD (VG) : An item that has been used, but is in very good condition. The cover art and liner notes are included. The CD or DVD box is included. Minimal wear on the exterior of item. Includes 12 Genuine Atari Arcade hits. All are in Full Working Order. You're able to fire weapons and engage in hand-to-hand combat against a collection of foes. None of the objectives are fleshed out terribly well, and it's difficult to really get a feel for what, exactly, your team is doing and how, exactly, it ties into the plot of the film. 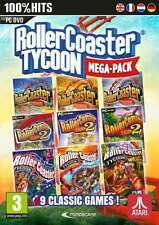 ROLLERCOASTER TYCOON 3 SOAKED Pc Cd Rom ROLLER COASTER Add-On Expansion Pack. Condition is Like New. Dispatched with Royal Mail 1st Class Large Letter. TITLE:NEVERWINTER NIGHTS 2 - FORGOTTEN REALMS. YEAR: 2006. As war erupts between the diverse hordes of the Underdark and the heroes of Waterdeep, RPG players experience an amazing array of characters, creatures and conflict. Needs Rollercoaster Tycoon 2 to play! Add animated scenery and attractions including dinosaurs, fighting knights and futuristic space rangers. Fully Complete with Manual.